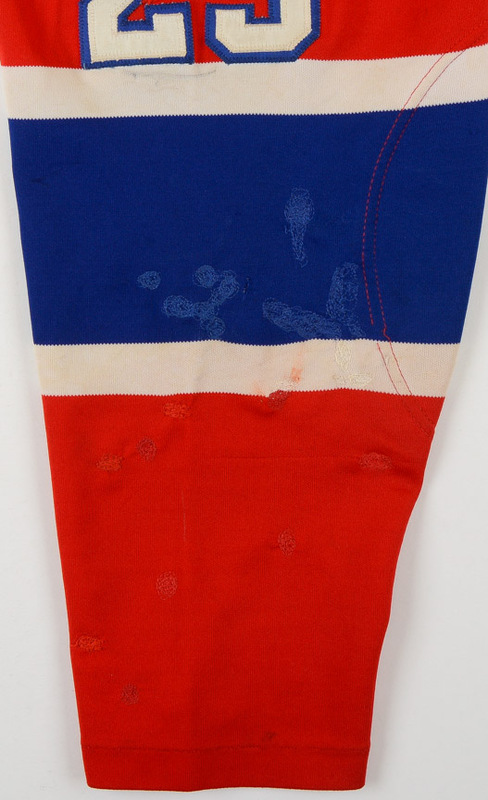 Thank you for visiting our past auction results. 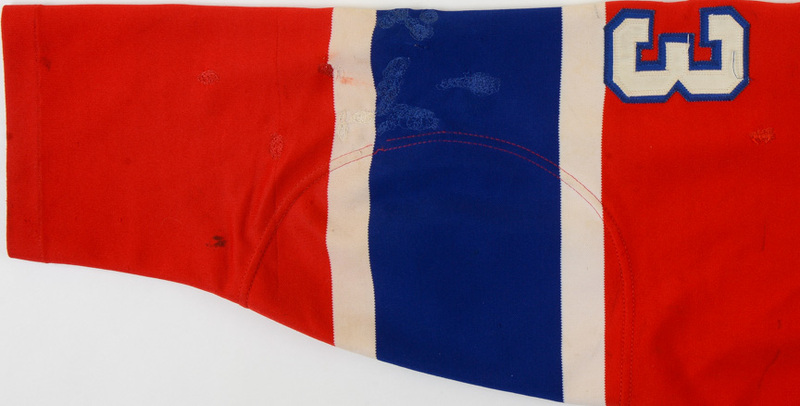 If you have an item identical (or similar) to this auction lot, please contact us to discuss consigning. 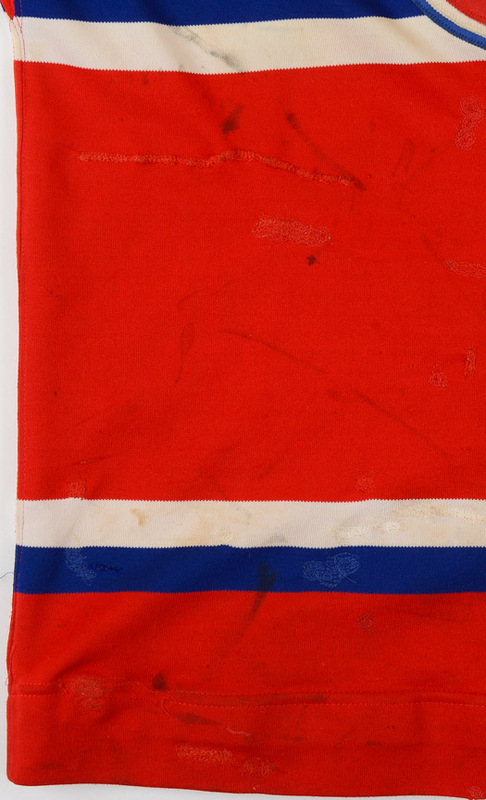 This road red knit gamer by Maska was worn by Bob Gainey during the 1981-82 NHL season. The Montreal Canadiens selected Gainey with the 8th overall pick in the 1973 NHL Amateur Draft. Gainey would spend all 16 years and 1160 games of his Hall of Fame playing career with Les Habitants. During that time he established himself as the world’s best defensive forward of his generation and for that matter of all-time. The prestigious Frank J. Selke Trophy was created to honor Gainey, and as such he captured it in its first 4 years of existence. 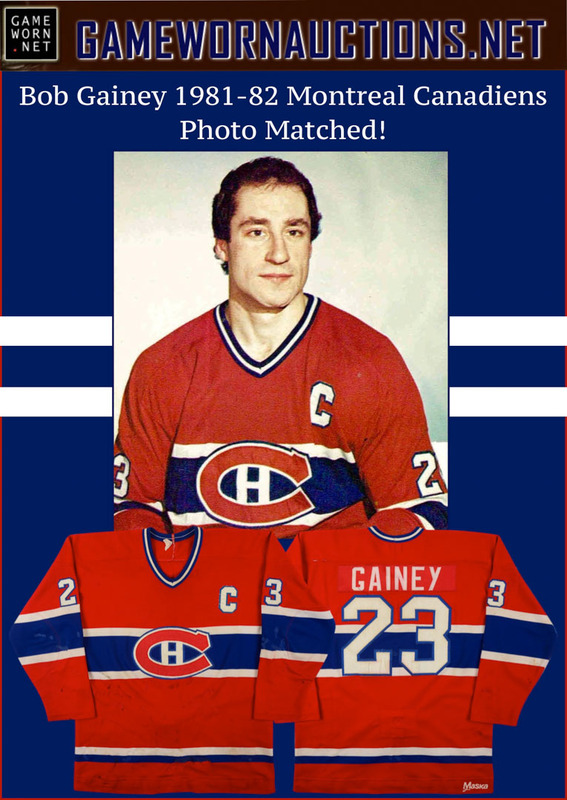 Gainey won 5 Stanley Cup Championships during his career and was the Conn Smythe winner as playoff MVP in 1978-79, as the Canadiens officially became a hockey dynasty by winning their 4th consecutive Stanley Cup, a feat accomplished by only 3 teams in the history of the sport. During the Cold War era of the mid to late 1970’s, the Soviet Union considered Gainey to be the North America’s best all-around player, quite a statement. 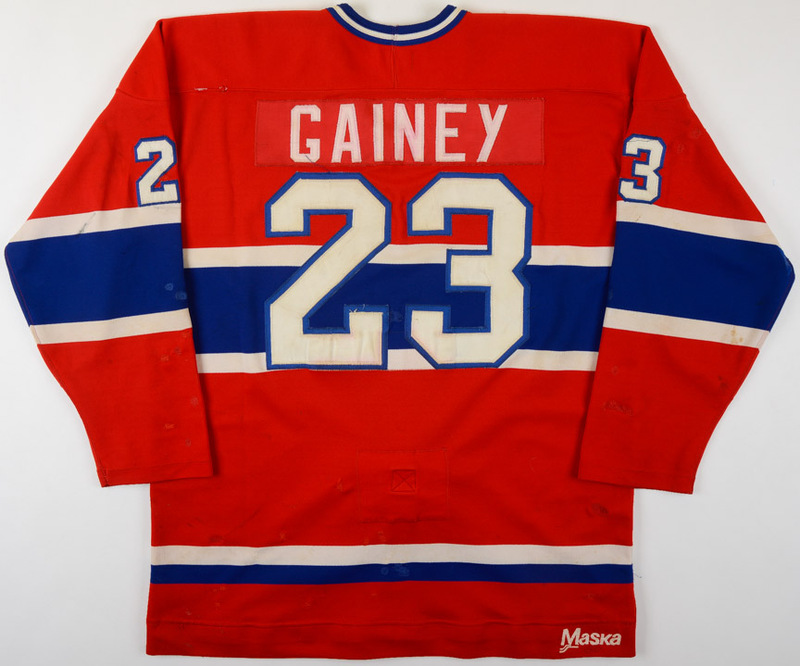 Gainey is a 4-time NHL All Star who also represented Team Canada in the 1976 and 1981 Canada Cups. Gainey was elected to the Hockey Hall of Fame in 1992 in his first year of eligibility. 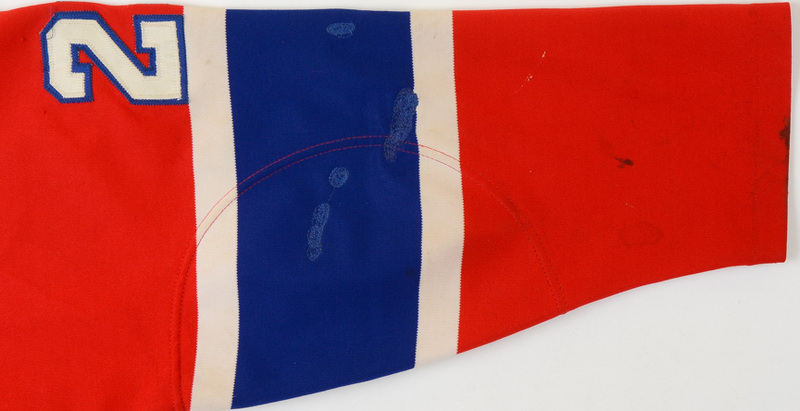 Proudly sewn to the left breast of this gamer is the Captain’s “C”. 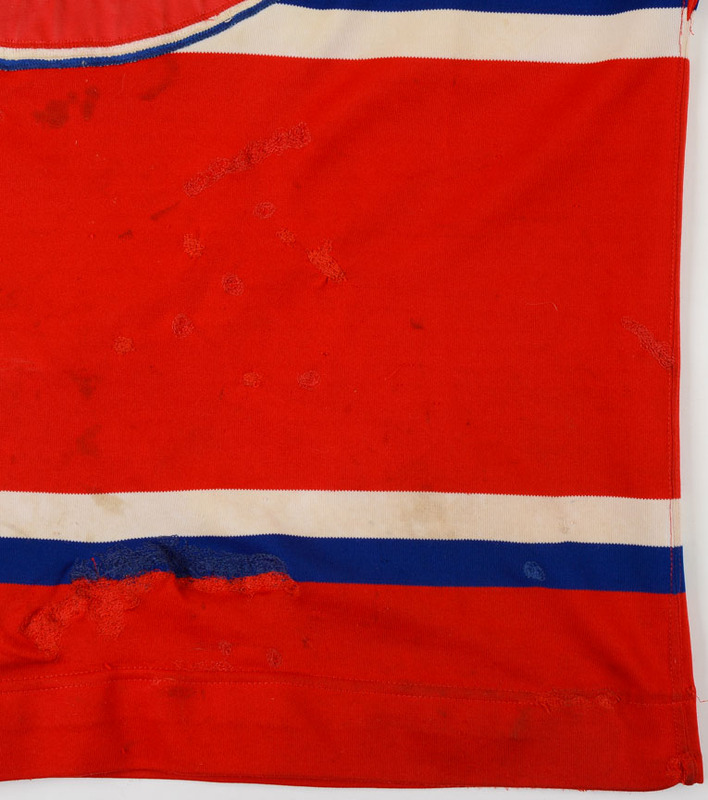 The game wear on this size 52 sweater is simply tremendous and consists of stick and slash marks, board burns, board paint transfer, un-repaired burn holes, stitch pops, washed out bloodstains, inner pilling and no less than 100 classic Montreal Canadiens team-sewn repairs. 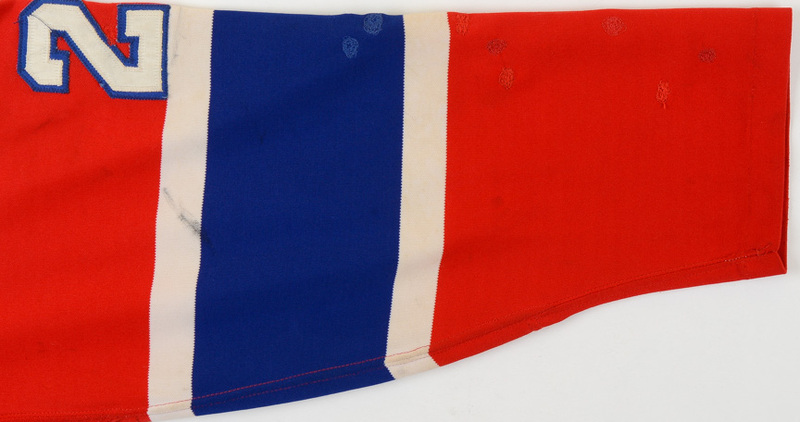 Sewn to the inner verso is the old school blue striped garter and loop style fight strap. 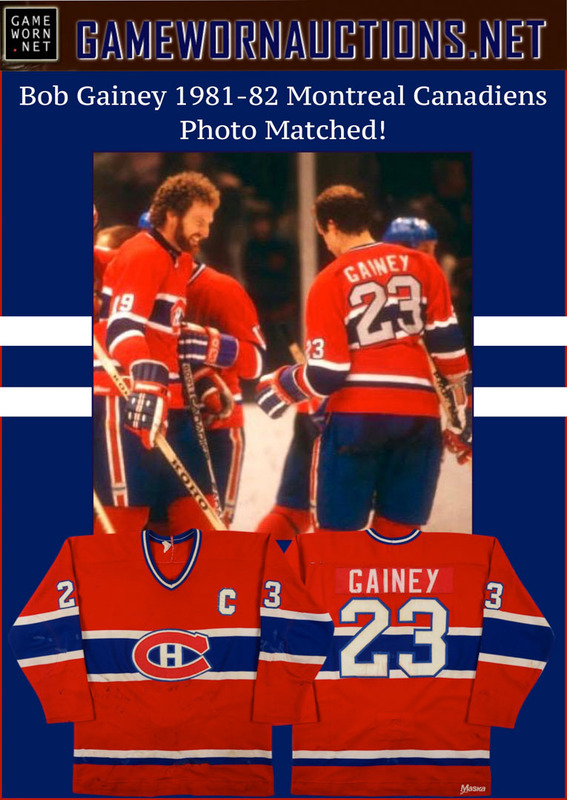 Shown above are a couple of beautiful photo matches of Gainey wearing this exact jersey during the 1981-82 season. 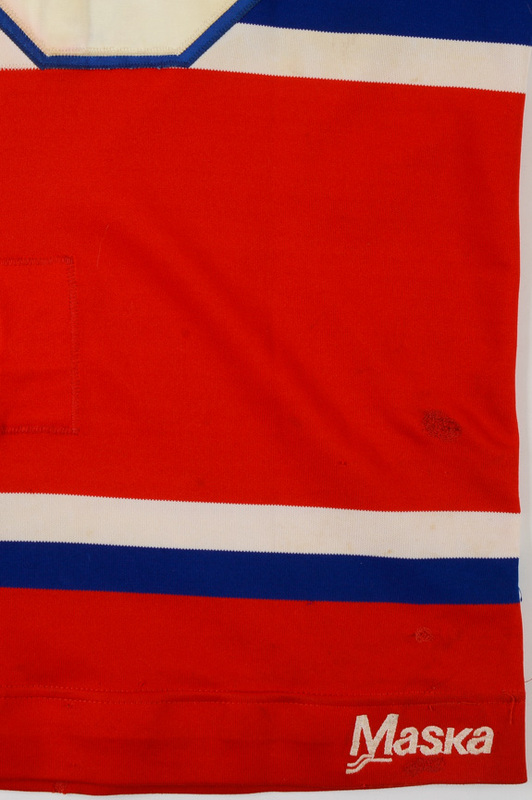 Gainey assumed the Captaincy of Les Habitants to begin the 1981-82 season following the departure of Serge Savard. It was a role he would thrive in, serving valiantly for the proud franchise for the next 8 seasons until his retirement in 1989. 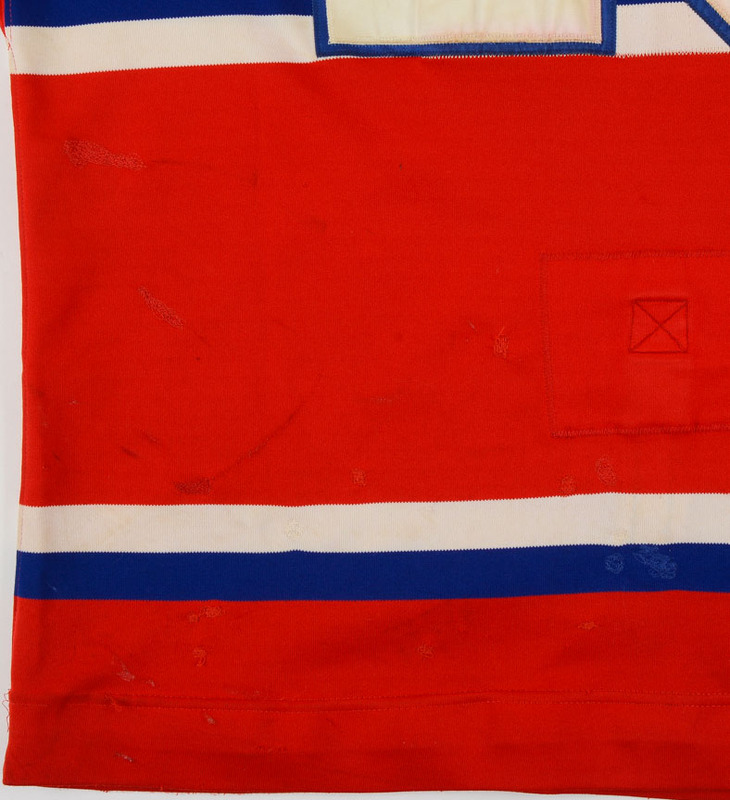 This all-original photo matched offering was worn by the greatest defensive player in the history of the sport during his 1st year serving as Montreal’s Team Captain. Furthermore, this example easily ranks as the most hammered Gainey gamer in the hobby, choice!